Akshadha is using Smore newsletters to spread the word online. The Beluga Whale-A KING of the SEA! 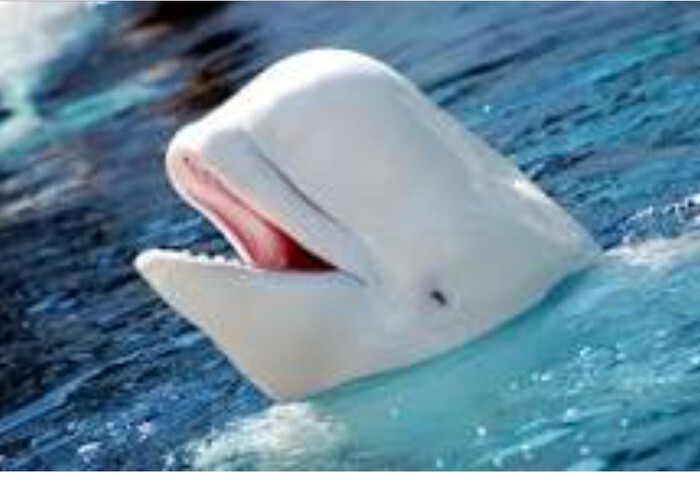 The Beluga, a whale with many expertise hunts many animals from-the Arctic cod fish all the way to many more!! Living in the ocean , the beluga whale hunts, eats and lives its way!!! 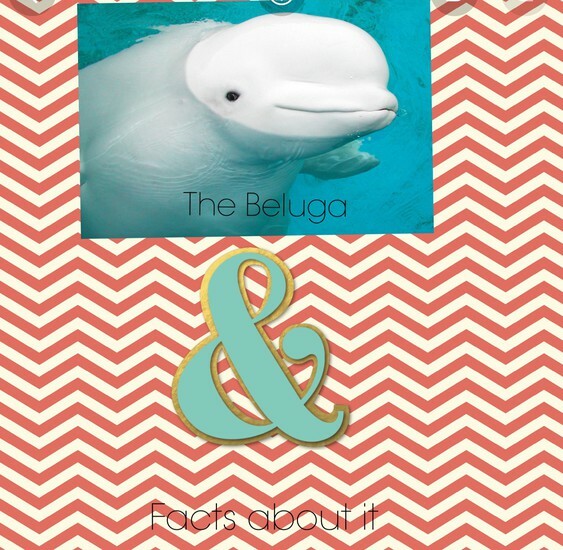 Today, you will learn all about the Beluga whale's ecosystem and also why not to hunt them. These innocent creatures should NOT be hunted. At this time the some of the predators include.. killer whales and polar bears. Join me as we learn about the wonderful Whale!! Beluga's diet consists of...fish, octopus ,sandworms, snails and many more. Fun Fact, the whale can eat up to 100 different types of things!! 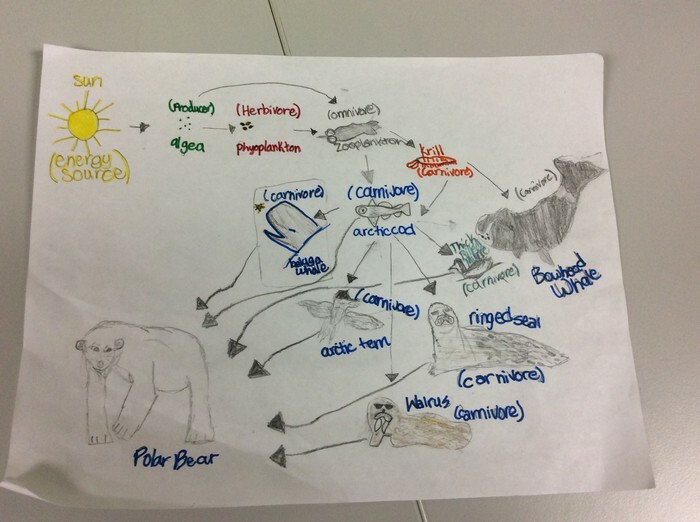 A food web is a complex version of a food chain, where many animals could feed on one thing. This is an example picture of our animal that we have been researching... this animal's ecosystem is in the water as shown in the picture. This beluga whale obviously is having a very great time in its ecosystem. 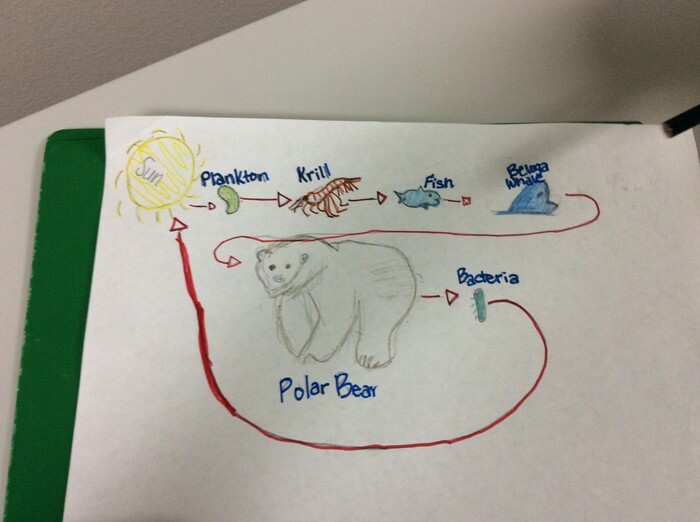 This food chain shows what all is a part of the Beluga's diet.In the picture... there are plankton ,krill ,fish ,polar bear, bacteria and of course the sun. The picture shows organisms that are a part of the food chain. crestations, worms, fish, these are some of the thing that the whale loves to eat!!! And the beluga's predator the, polar bear, of course.As seen, the whale eats many things. One of the abiotic factors (non-living)of the whale is.. OCEAN WATER. The ecosystem of the whale or where it lives is, SALT water,it's ecosystem is nice and fits it's life and does not harm the whale in the Arctic Ocean. If it were to be true about over population of the whale, many of the other species that the Belugas feed on could die easily of over hunting, such as...the Arctic cod fish and crestations. Also, if there are too little beluga whales many polar bears (predator of beluga) could also pass out of starvation. In this video you will learn a lot more about the beluga whale. These extra facts will give you an idea about their lifestyle.Hope you enjoy!!! Stay tuned!! Let's say no to hunting these animals, so far they have done nothing wrong so, who's with me?! Hope you encourage many people to learn about these magnificent creatures. With an estimated population of only 80,000 whales let's save what we have!! Also as you might have heard, if the Beluga whale dies it damages the full food chain or food web and then the enviorment could become chaos. Thank you so much for listening and I hope you learned something today. They can live up to 25-30 years. They are the smallest of all whales!! They are 13-20 feet long, and can look like a dolphin. The whale can weigh from, 2,000-3,000 pounds. Their huge forehead is called a melon!! !